Interact Marketing doubles down on corporate wellness. NEW WINDSOR, NEW YORK (PRWEB) OCTOBER 04, 2017 – For the second year, Interact Marketing, a leading NY digital marketing agency has reinforced its commitment to employee wellness. 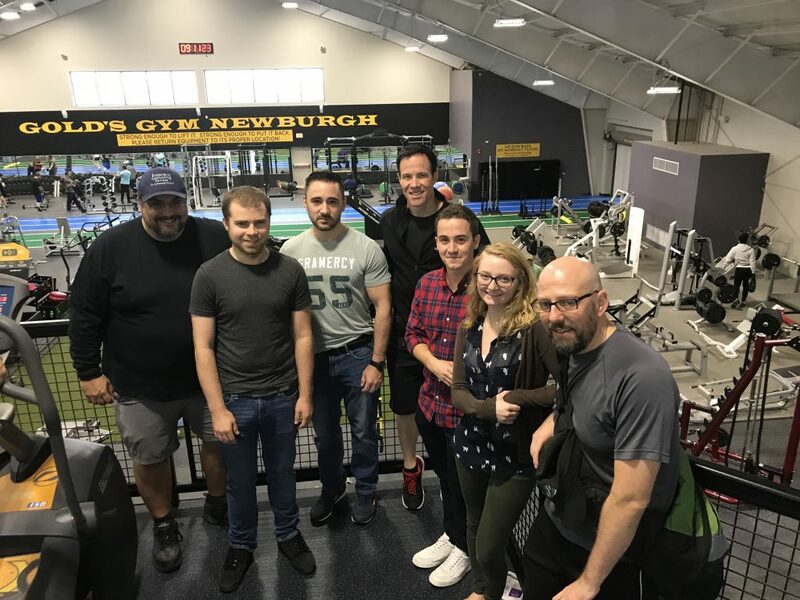 On Friday, the team toured the newly expanded Gold’s Gym in Newburgh, New York where employees will be able to take advantage of subsidized access to all facilities offered. “After visible success of last year’s program, we decided to expand our employee wellness program,” said CEO Joe Beccalori, CEO of the NY marketing firm. After visiting Google’s Headquarters, Beccalori was inspired to create the wellness program as he witnessed firsthand how innovation can only thrive in an environment where minds are unclouded by stress and other health issues. The partnership with Gold’s Gym is another step to providing tools for employees to get in control of their well-being. Gold’s Gym Newburgh has an expansive facility complete with a wide variety of classes, an indoor pool, an indoor track, and holistic health services, to name a few. With burnout becoming a problem for other competitive agencies, Interact Marketing takes a proactive approach to encouraging employee wellness to not only get the most out of the team, but also to improve morale and foster a healthier work environment. The benefits of employee wellness programs to the company and the team have been emphasized by industry innovators and fortune 500 companies. As a leading NY digital agency located a train ride away from the hustle and bustle of New York City, Interact Marketing has adopted the corporate wellness programs seen typically in larger city-based agencies while still enjoying the benefits of being headquartered in the Hudson Valley. All programs are completely optional, with an emphasis put on empowering the individual to make choices that are right for them. There’s no pressure for team members who prefer to opt out of activities. Gold’s Gym Newburgh is a 73,500 square foot health and fitness mecca with a focus on energizing fitness environments, programs, classes, and amenities that cater to the entire family. Having recently undergone a $2.1 million expansion and renovation, it was awarded 2017 Best Improved Gym and Best Group Exercise Program in North America. The club was co-founded by local resident, Mary Murphy, in 1986 and continues to be owned and operated by her and her son (Managing Partner), Don Murphy.